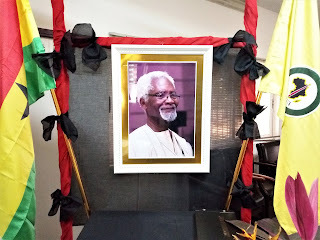 The news of the death of Prof Atukwei Okai, which came to us in Nigeria on the 13th of July,2018, while we were celebrating the 84th Birthday of Wole Soyinka, one of our literary icons and a great friend of Atukwei Okai, was a rude dampener of our spirit. We in Nigeria under the aegis of the Association of Nigerian Authors (ANA) knew so well the life-long labour of Atukwei Okai in uniting African writers in the Continent and in the Diaspora and building bridges of cultural understanding across Africa as the ubiquitous and indefatigable Secretary- General of the Pan-African Writers’ Association (PAWA). Prof. Atukwei Okai was to African literature of his age and time what Osagyefo Kwame Nkrumah was to African politics and liberation struggle. He epitomized the Pan-African spirit in literature and PAWA, under his eagle-vision, became a place where strategic linkages were built among writers across Africa and in the Black Diaspora. The many conferences and grand activities of PAWA under the gangling command of Atukwei Okai brought us all over Africa and in the Diaspora together to know and acknowledge one another in the crucial quest to keep the conversation going if we are to develop our continent to our requirements. In Nigeria, we recall that Atukwei Okai was always at our doorsteps, honouring our invitations, being a harbinger of schemes of cooperation, feeling at home, and displaying the common bonds we all share as Africans. He was also a sublime ambassador of his country, Ghana, welcoming us all the time to its expansive Pan-Africanist historical ambience. As writers of Africa, we have so much associated Atukwei Okai to the city of Accra and PAWA that it will be painful contemplating a future visit to that city and PAWA Secretariat in which Atukwei Okai will be physically absent. Indeed the most piquant blows death deals on us all are the absence and void it leaves in its wake. Atukwei Okai will be called and will not answer but his words in his inimitable poetry will forever speak for him. He will be immortalized in our collective memories as he had immortalized many African writers in the galleries and gardens of the PAWA Secretariat and in the many activities of PAWA under his watch. Adieu Atukwei Okai, journey on to join the pantheon of dearly departed great African men and women of letters. We will carry on from where you stopped and pass on the baton when our own turn comes. 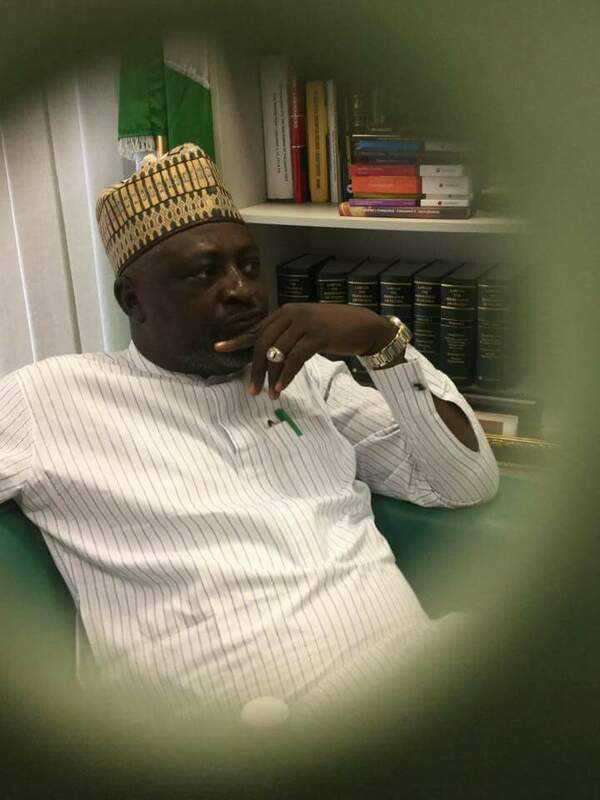 Denja Abdullahi, poet, dramatist and Cultural administrator is the President of the Association of Nigerian Authors (ANA).